The Samsung Galaxy Tab 4 offers a gorgeous display but the experience is ruined if your touch screen or even worse LCD is smashed. We will repair your Tab 4 worry free, whether you have the 10.1″ or the 8′ version offering not just glass and screen replacements but many other repairs. We’ve been the most aggressive company in Perth’s tablet industry and it shows in the quality & near-new finish of our repairs. Phone Ninja technicians pride themselves on their excellent customer service & technical skills. 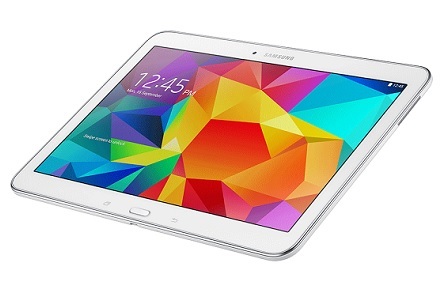 But hold on, there’s more, we offer expert diagnosis for any Galaxy Tab 4 issue. We use only the highest quality parts that ensures a perfect finish so you can enjoy your tablet as much as you did when it was fresh out of the box. We offer a 3 months guarantee to assure you are happy with the final job and our Perth Price Beat promise is your guarantee that you can feel confident that you are getting the very best deal! Drop by our stores or feel free to call us for more information.